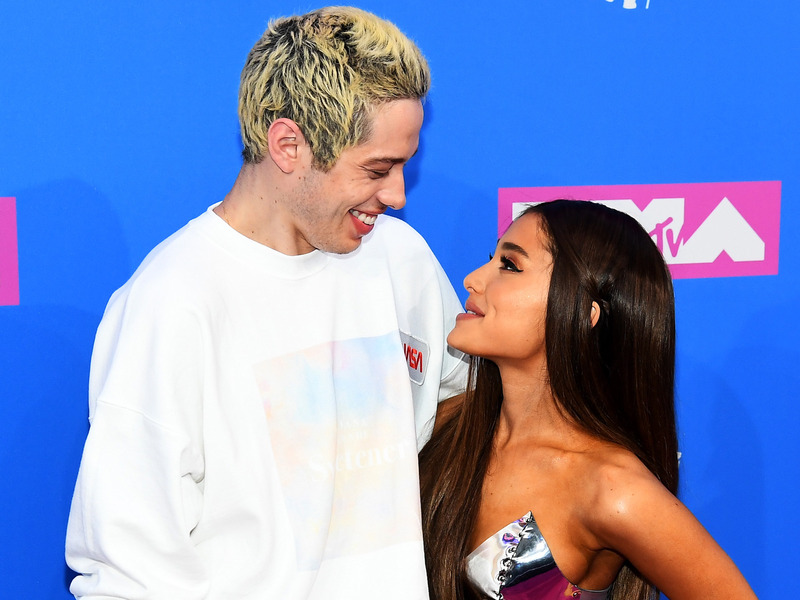 Ariana Grande and Pete Davidson made their first official red carpet appearance together at the MTV VMAs on Monday evening at New York City’s Radio City Music Hall. The engaged couple only had eyes for each other as they embraced and kissed. After a few snapshots were taken, they dashed away from the red carpet. Fans can’t get enough of newly engaged superstars Ariana Grande and Pete Davidson. The couple made their first appearance on a red carpet since first getting together in May of this year.